Multix has been purpose-built and custom designed to offer the unique power of extreme 3-in-1 adaptability of Family, Business and Power Generator to the independent businessmen. The vehicle has a generous cabin space that can comfortably seat a family of five along with luggage, and can be adapted to create large storage space of 1918 liters. Multix is equipped with X-PORT- a unique power-take-off point, which can generate power up to 3 KW that can be used for lighting homes and powering a variety of professional equipment. It is equipped with first-of-its-kind Pro Ride™ – Independent suspension system, which, coupled with its best in class ground clearance of 225mm, delivers unmatched riding experience on all kinds of roads. Multix has a reliable diesel engine that provides mileage of 28.45 kmpl. Eicher Polaris Pvt. 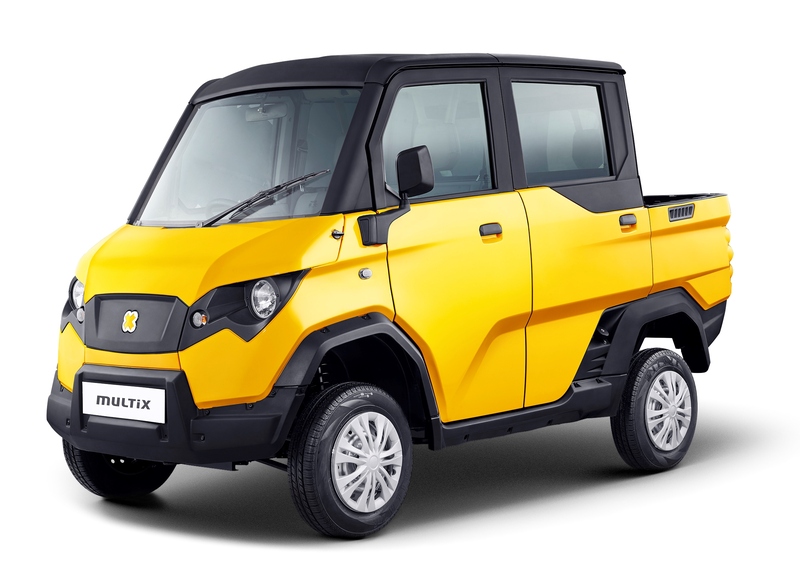 Ltd. handed over the key of Multix- India’s first personal utility vehicle to Mr. Ganesh Narayan Choudhary- the first owner of Multix in the country yesterday.